The 51 bus could go via West Street instead of Broad Lane to improve its reliability as part of proposed changes to Sheffield’s bus network. It would mean that the drop-in medical centre on Rockingham Street would no longer be included on the route. Changes to ticketing arrangements are also on the table including a single ticket to let you to travel anywhere across the city, even if you have to change buses. The cost of a day ticket would also come down by 70p to £4.30. 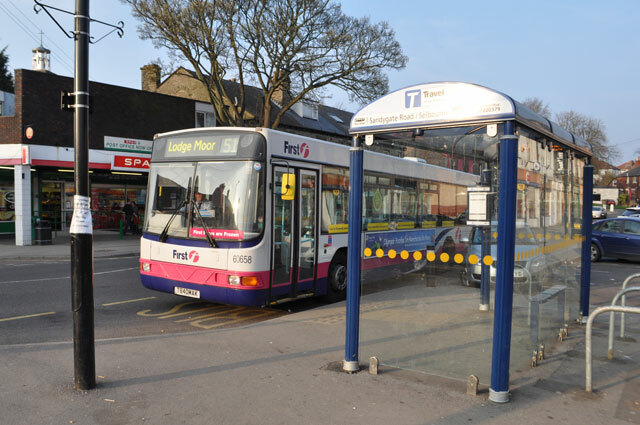 The Sheffield Bus Partnership is consulting on the proposals and the public have until 14 July to give their feedback. Any changes would come in at the end of October 2012. Give your feedback on the proposed route 51 changes. This entry was posted in consultation, crosspool, health and fitness, news, traffic, transport and tagged 51 bus, broad lane, buses, rockingham street, sheffield bus partnership. Bookmark the permalink. We do not mind the change in route. However,don`t ALL bus routes in the City encouter difficulties – yet there are still as many as 8 or even 9 52`s arrive on High Street whilst waiting…and waiting..for the 51.It is not unusual for 2 or 3 51`s to end up on Sandygate Road together.